JeepForum.com > Models > Jeep Grand Cherokee & Commander Forums > WK Grand Cherokee & XK Commander Forum > 2008 CRD fuel tank removal. 2008 CRD fuel tank removal. We have a 2008 GC CRD, I have heard a from a few owners locally that drive one, that they had to replace their fuel tank due to rot. 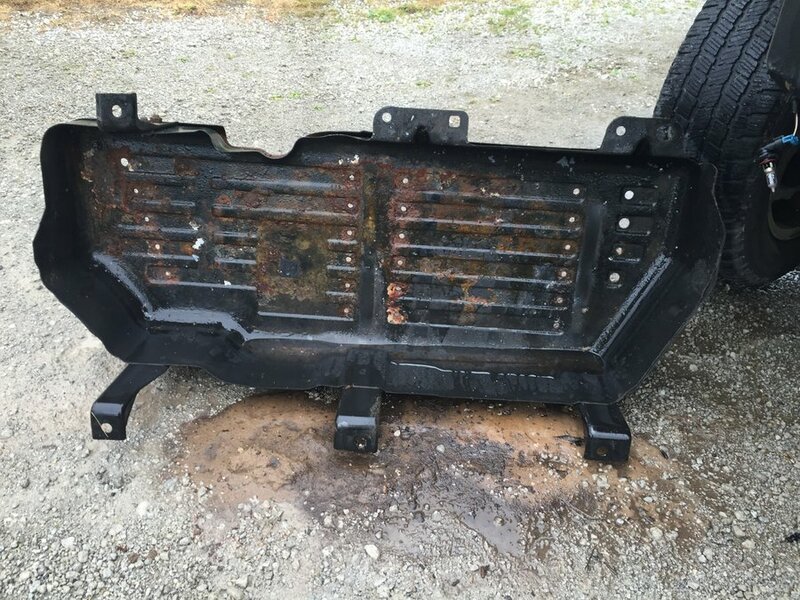 I crawled underneath the jeep to have a look and see if I can remove the tank skid plate, and clean out the dirt between the skid plate and tank, but is skid plate also holding the tank up? Is there a step by step instruction somewhere on how to remove this? I just want to be ahead of the game, as I heave heard it is not cheap to replace these fuel tanks , and they are hard to come by. Our Jeep has 149000km on it, and I've heard that they spring leaks at around 160-180000km . Search, its been covered. 7 bolts, two fuel lines front, connector, fill and vent hose in the back. I just finished up sealing my tank with a POR15 fuel tank repair kit. What a pain in the *** to do on these tanks. The dealership has the balls to charge $2000 for a new tank. Pissed me right off. There were multiple pin holes in the tank when I got all the rust/paint cleaned off. I only recently completed the job and haven't even filled the tank back up yet, but as far as I can tell, it is a good product and is a viable option...it just takes a lot of time to do. And you'll have silver coating on your hands and arms for days or weeks if you're not extremely careful....there's still some on my fingernail that I can't get off and it's been about a month since I did the job. I figure it must be a damn good coating. If I were to do it again, or even as a preemptive measure, I would definitely remove the tank, clean up the exterior really well, then put either a coating of bedliner or even a coat of POR rust paint on it. 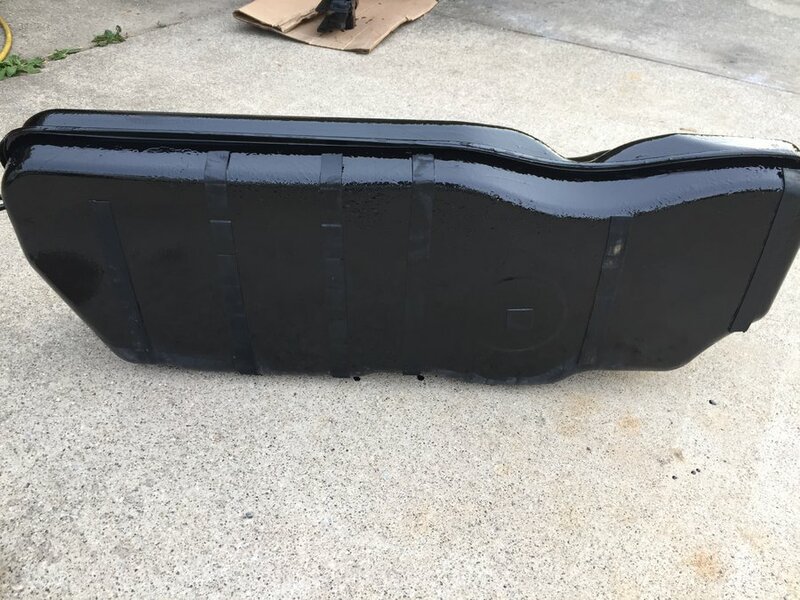 I used some rubberized asphalt undercoating, and I think this was not the right move...it never really cured and I don't know how well it will actually protect the tank in the future. 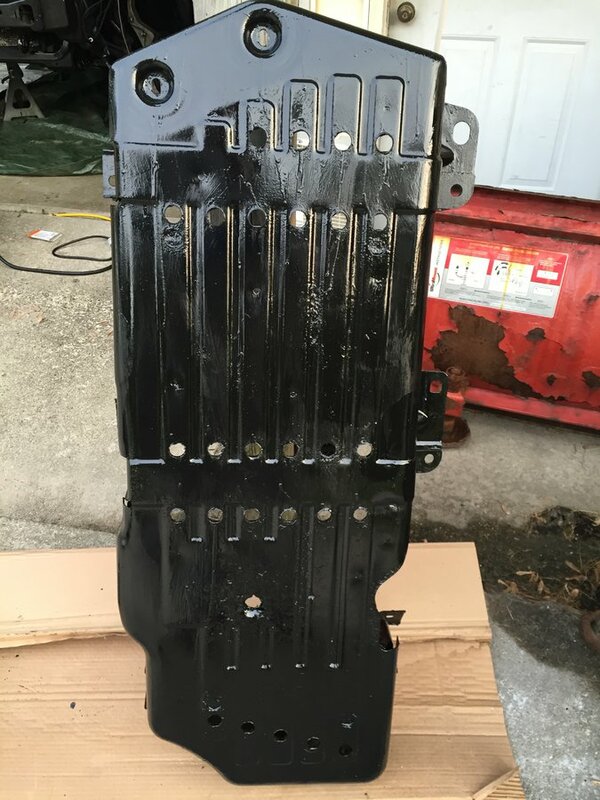 I did mine with Chassis Saver at the same time I did the entire bottom of my Jeep. I would not want to do this ever again. I do, however, want to do the POR15 inside fuel tank sealer in the near future to make sure I have both sides of mine covered. Mine was not leaking, so I am trying to be proactive on it. I prepped everything like the POR15 directions, but used Chassis Saver paint instead of POR15. I would recommend someone to make sure they prep well and do an exception job using the POR15 Metal Prep so that the next step really adheres well. The cheapest way is cover it with waterproof marine grease. I do, however, want to do the POR15 inside fuel tank sealer in the near future to make sure I have both sides of mine covered. I would think diesel's oily nature would prevent internal rust from forming. I'd be nervous putting any kind of paint inside the tank. Just my opinion. Well I removed the tank, it wasn't leaking yet, but I too I want to be ahead of the game and clean everything before it starts leaking. As it turns out, the back part of the skid plate was full with dirt, so I cleaned everything off, used a wire brush to clean off the rust and dirt off the tank, and lone behold I see a little pinhole, tilted the tank and what ever fuel was left in there it started too pee out. Wonderful. I did notice that the back righthand corner of the tank is all pitted. I am surprised with so many leaking tanks that those jeeps have not been recalled. How did you remove the front inner bolt under the propshaft? Adjustable angle ratcheting end wrench. Just did this, I waiting until the low fuel light came on, then looked at the miles remaining and waited until that said LOW FUEL LEVEL... had about 2-3 gallons at that point. I couldn't believe the amount of rust in between the skid plate layers. The tank wasn't too bad but did have a fairly rusty spot. I used the undercoating and rust stop. I also changed the foam out for new stuff. I can't believe how expensive these tanks are. What a joke! 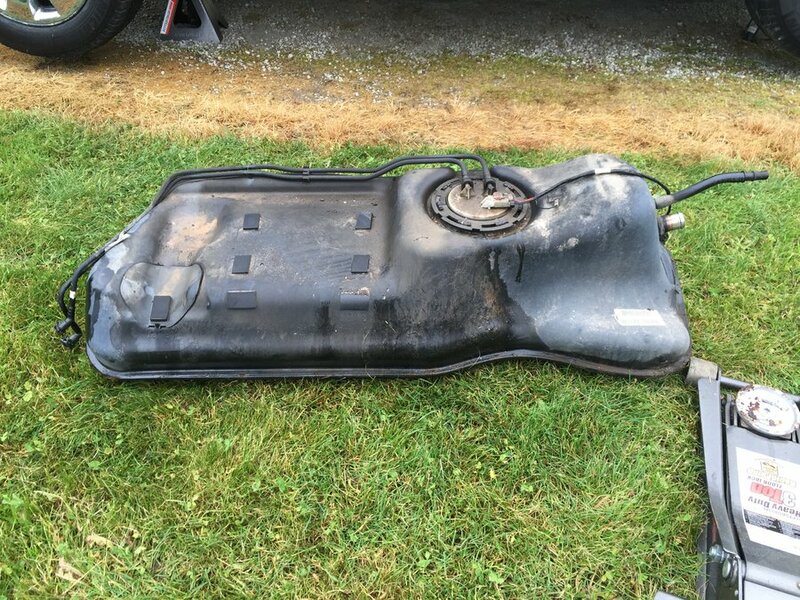 Has anyone swapped a plastic tank from a gas WK into a CRD? Is diesel harmful to the plastic or something? damn, I'm not looking forward do doing this job, but it will need to be done. did you guys install some pad or matting between the tank and skid plate now? I wonder if there is a way to leave the tank installed but drop the skid plate.